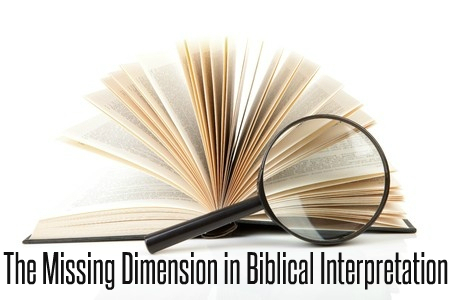 Interpreting a biblical passage is a critical element of the preacher’s task. Principles of hermeneutics should be readily accessible to the good preacher, second nature really. Numerous hermeneutics textbooks list the principles – awareness of literary form and the influence of genre; concern for the grammatical choices made the author in his efforts to be understood; the significance of authorial intent; knowledge of the relevant historical background factors influencing the meaning of the text – such as geography, religio-politics, culture, etc. ; deep sensitivity to the written context, both immediate and within the flow of the book as a whole; recognition that scripture does not contradict scripture, but does interpret scripture, yet the importance of remaining focused on the particular text, and so on. But there is one key dimension that tends to be overlooked in hermeneutics texts and yet should be front and centre in our concern as preachers. Perhaps we should call it the moral blindness principle, or the interpreter’s heart principle. Jesus put his finger on the issue in John 5. As he spoke to the trained religious elite of his day, he turned defense into attack. He had been accused of breaking the Sabbath, to which he made sure they accused him of something more substantial (see v18). Then he laid out some key truths in respect to the Father and Son, around issues of life-giving and judgment (see vv19-29). From verse 30 he started pointing directly at his accusers and speaking in the first and second person. He called his witness in support of his claim, (acknowledging John the Baptist in passing), who was first and foremost his own Father. Yes, there were the works he did, but the focus is really his Father. But then he made it very personal. He told the Jewish leadership that they had never seen him, didn’t know him and didn’t have his word in them. That is strange, these were the Bible quoting leadership fraternity of Jerusalem. How could they be accused of not having the Bible down? Jesus threw a hermeneutical failure at them. They were certainly diligent, searching the Scriptures for top life tips, but they missed the person revealed there. How? Because they did not have the love of God in them. How could that be? Because of a mutually exclusive issue that might be one of the greatest dangers we face as preachers . . . They were concerned about the horizontal reality of what people thought of them, which meant they were not concerned about the vertical reality of what God thought. They loved getting glory from each other, rather than the glory that comes from God. That is moral blindness. That is the principle of the interpreter’s heart. If my heart is concerned about what people think of me, I may well be blind to the truth of the text I claim to understand and then proclaim to others. If you preach, ponder this principle prayerfully – it is one we cannot afford to miss.